Right after you are in an accident you will begin receiving calls from the insurance company for the person that hit or hurt you and your insurance company if you have one. Keep in mind that you may still be recovering in the hospital, seriously injured, or on pain medications. Thus, you will not be in any condition to make rational decisions. Many times during an initial contact they tape the conversation. The content of the conversations that you provide to the other insurance company or your own are so important. The insurance company employees are trained to lead you in your statements and may try to get you to make wrong admissions or statements in order to cut down the money they have to pay later on. It is vital that you speak to an attorney before giving any statements. You do not have to provide a statement until you meet with an attorney. If the insurance company demands a statement, you have the right to say that you would like to consult with an attorney before giving a statement. The attorney can go over the facts of the case and either provide a statement for you to the insurance company or assist you in providing the statement. In New Jersey, your damages can be reduced by the percentage of fault that is placed on you for the accident. If they can trick you into saying that you may have been partially responsible for the accident, this is going to hurt your settlement check or verdict after a trial. For example, in New Jersey if your total damages are $100,000 and the insurance company can prove you were 20% at fault for the happening of the accident, then you will only receive $80,000. In addition, in New Jersey if the insurance company can show you were 51% at fault or more for the accident you receive nothing. Insurance companies will always try to blame everyone but the person or company they insure. For example, they will blame you for tripping on your own feet on a slip and fall case. Or, they will blame another driver in another car or you for the auto accident. The insurance company will try to argue every ridiculous angle or other cause besides the person or company they insure being at fault. The insurance companies play the delay game all of the time because so long as the money is in their “good hands” and not yours they make more money. Insurance companies invest money they get from your paid premiums and the longer they have the money, and you do not, the better for them. Insurance companies will say we are processing your claim or we need more information or we do not have all of the medical information to evaluate your case. The excuses are endless and they delay for far too long. Many times after all these delays, they will make an offer that barely covers your health care costs. Watch out for these delays. The only way to get around these unreasonable delays is to file a lawsuit. The worst trick insurance companies engage in is getting you to sign a release of the person or company they insure before you speak to an attorney. I have a client where the insurance company got to her right after the accident and gave her next to nothing; she then signed a complete release. She was under the impression, because the insurance representative led her to believe so, that the payment was only for ongoing medical expenses and she could receive more later. Yet, the release they had her sign gave the insurance company a release for all claims she had. Our firm was able to get the release undone and she then obtained the full policy limits of $100,000 for her serious back injuries. Bottom line, never sign any document put in front of you without consulting an attorney. Many insurance companies use computer programs such as Colossus. Colossus is a computer program that large insurance companies use to estimate the value of claims. Allstate Insurance Company is famous for using Colossus to place low values on claims. Colossus places heavy emphasis on numerous factors that negatively impact a claim and lower the value placed on a person’s injuries. One of the major flaws of Colossus is that the insurance company employees and adjusters input the information that the program uses to value personal injury claims. Colossus does not consider the full nature and extent of a person’s harms and losses. Rather, it goes by data provided by insurance company employees and the numbers are always lower than fair value. Many times after an accident you are in need of money desperately. Insurance companies know this all too well and will try to low ball you and get you to accept much less than your full claim is worth. At a minimum, you should consult with an attorney to see if the offer is in a fair range or too low. The last thing the insurance company wants done is let an experienced personal injury trial lawyer get involved. The earlier the lawyer gets involved the better. The lawyer will protect you against giving improper statements, while gathering evidence early on and preparing the case for trial if necessary. In New Jersey, an injured person should consult with an attorney Certified by the New Jersey Supreme Court as a Certified Civil Trial Attorney. This way the injured person knows they have a lawyer that has taken cases from beginning all the way to conclusion of a jury verdict. Remember, you never have to take what the insurance company is offering. In New Jersey you have the right to file a lawsuit and have your case heard by a jury or judge. If the insurance company does not want to pay a fair value, then a jury of persons in our community someday has to make that decision for everyone, valuing the case fairly after considering all the evidence. 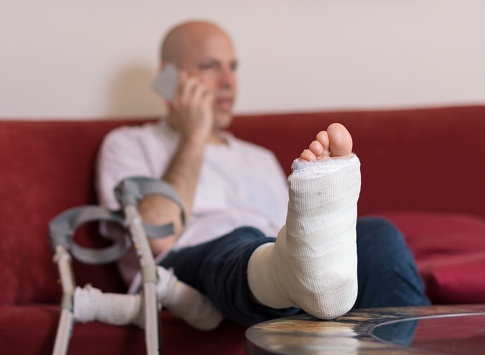 Many times accidents involve different available insurance. An insurance company is certainly not going to explain, without a lawsuit or lawyer involved, all the insurance coverages available to cover your claim. In New Jersey an insurance company does not have to tell you the available insurance limits unless a lawsuit is filed. With auto accidents what consumers do not fully understand is that they can pursue the person causing the accident as well as their own insurance if there is not enough insurance to cover their injuries. For example, many people do not carry enough liability insurance to cover a serious injury. Thus, let’s say a person with $50,000 in liability insurance hits you and you become permanently injured in an accident. You also may be entitled to Underinsurance Motorist Coverage under your own policy beyond the $50,000. Depending on your policy’s coverage, by way of illustration, you may have another $500,000 in Underinsured Motorist Coverage. Under the given example, after you received the $50,000 from the insurance company of the person that hit you, you have another $450,000 under your own policy to recover. Without a lawyer explaining and exploring these insurance policies most people do not fully understand and could wind up losing a lot of money. I continually urge my clients to obtain Underinsured Motorist and Uninsured Motorist coverage as high as they can obtain. The higher limits are not that expensive and the most important part of their insurance because a lot of others do not have adequate auto insurance or worse yet do not carry insurance at all. Protect yourself and your family against these situations. Exploring the different types of auto insurance available to you is so important. If you have a question about an accident or insurance company tactics, please call a personal injury lawyer in one of our New Jersey offices.